STANDeasy helping you keep the spring in your step! Our first appointment will include a full medical history, foot assessment and health check then treatment and advice. This will take approximately 1 hour. Follow-up appointments are approximately 30-45 minutes and include any further treatment and advice. British Association of Foot Health Professionals. This means I am bound by the Code of Ethics and Rules of the Association. 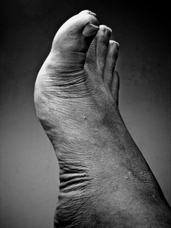 foot care requirements are met and where safety, hygiene and confidentiality are paramount. Professionals in the UK, treating over 14,000 patients per year. I cover the Portsmouth and surrounding area.